Captain Obvious strikes again. For those of us who do that whole write a novel in a month thing, we know it’s the middle of the month. We have two weeks to go. Some have room to experience writer’s block because we’re ahead. Some of us are sweating because we are behind on our word count. 50,000 words is a lot more than it seems. I am a little behind but not because of writer’s block. I keep finding other things to do, mostly to do with turning the pedals on a bike. 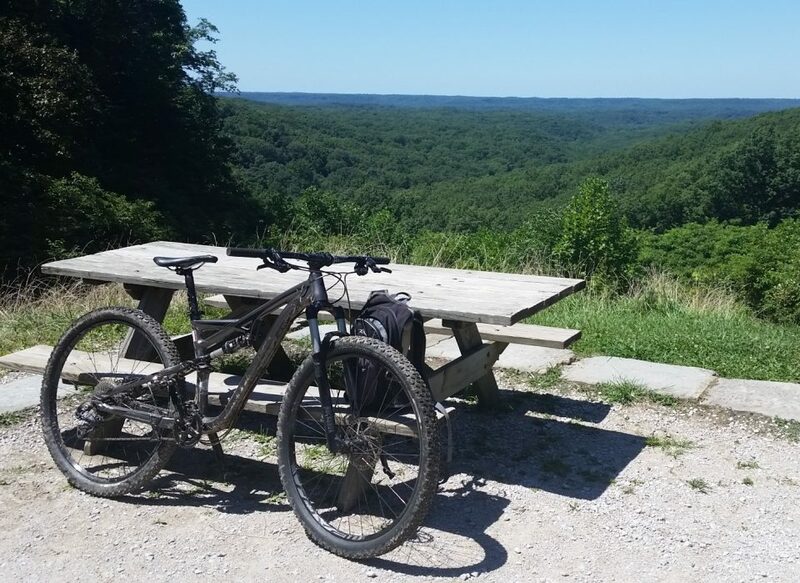 Last week, I took a few days off to ride the dirt singletrack trails of Brown County State Park in southern Indiana with a few friends of mine. Guy trips must take priority over writing a NaNo novel. If you are a FB contact of mine, you may have seen pictures and video from the trail. We had a blast. This year I was not real sure I wanted to NaNo. NaNo feels a little silly now that I have participated and ‘won’ a few times, but I resist the urge to actually call it silly. It is motivation to write, a good thing, and it’s actually the type of motivation I need to get writing again. The words are flowing freely, my voice sounds good to me, and it feels good to me to be writing again. There is one aspect of writing NaNo this time that I do not like, however. I did not plan to write, went into the month without a single planned character, no real plot. Strangely enough, the story is writing itself nicely, although unplanned writing tends to lead me into dark places, dredging some memories from inside of me that I probably should not be writing about. One old friend calls me ‘COD’ and this NaNo.justifies that nickname (it stands for ‘Creepy Old Dude’). I guess what I am writing does not qualify as totally creepy, but it is having its moments. My daughter is writing NaNo again this year, another motivation to write. She asked me on October 31 if I was writing this year. How could I say no? Also, my old friend, the one who gave me the COD moniker, also announced that she is writing. So I write. And I ride, even in the cold weather we are having here. Kmart was a weekly event for my mom, part of her routine. She dragged my brother, Mark, and I out for groceries and supplies with the hope that we wouldn’t kill each other in the wide open spaces of the aisles. Mark and I are a year apart in age, two spark plugs filled with the electricity of youth and the conflict of sibling rivalry. Mom was an expert at keeping the two of us occupied, giving us little tasks to do at the grocery store, like go find a box of strawberry Pop Tarts (it was safe to send a boy off those days). Inevitably we came back with not only the box of Pop Tarts, but whatever else caught our eye along the way. I don’t think she minded the extra articles in the shopping cart as long as we weren’t tearing each other’s throat out. And then there were the Kmart blue light specials — a flashing blue light placed strategically inside the store next to the deal of the moment, an announcement over the intercom proclaiming the hoagie deal of the day. My brother and I were suckers for that blue light. 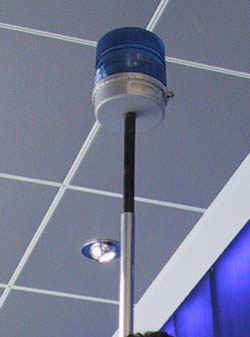 Our nights with mom at Kmart were filled with the special events brought to us by that flashing blue light on a pole. November has become blue light month for me, a month filled with special events. November 1 brings NaNoWriMo, the writing event designed to give each participant a freely written novel manuscript. The goal is 50,000 words with a certificate for those who make it to that milestone. I plan before the month of writing begins with character sketches, rough outlines, background stories for each character, even a PLOT. If I don’t plan, I don’t reach the 50,000 word goal. It is November 2 and I am over 4000 words already, a nice start. And I need to start quickly. There will be two days this week where I won’t be writing at all. Why? Because the second event of November will be happening — BROWN COUNTY. For two days, I will be banging around the woods in southern Indiana with my friends Jim and Jon on our mountain bikes. This year we enticed my friend, Mike, to join us. It is guy time, a time when we risk life and limb while riding ourselves past exhaustion on the dirt and rock trails, tired but with smiles of satisfaction. My friends are the medicine I always need, drama free and the kind of friends any guy should have. We don’t drink because our poison is riding a bike, one of the reasons our wives love that we go on this trip! Then there is Thanksgiving, not really a blue light special, but probably my favorite holiday of the year! Follow the light. It’s blue light special month!